Passages to the Past: Win a copy of The Raven's Heart: A Story of a Quest, a Castle and Mary Queen of Scots by Jesse Blackadder! Win a copy of The Raven's Heart: A Story of a Quest, a Castle and Mary Queen of Scots by Jesse Blackadder! 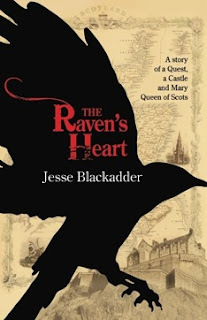 Today is the kick-off day for Jesse Blackadder's virtual book tour for The Raven's Heart: A Story of a Quest, a Castle and Mary Queen of Scots and in celebration I am hosting a giveaway for one copy! Jesse is touring with Historical Fiction Virtual Book Tours from December 3 - 21, please see the schedule of stops at the end of this post to follow the tour. Scotland, 1561, and a ship comes across the North Sea carrying home Mary, the young, charismatic Queen of Scots, returning after 13 years in the French court to wrest back control of her throne. The Blackadder family has long awaited for the Queen’s return to bring them justice. Alison Blackadder, disguised as a boy from childhood to protect her from the murderous clan that stole their lands, must learn to be a lady-in-waiting to the Queen, building a web of dependence and reward. This sweeping, imaginative and original tale of political intrigue, misplaced loyalty, secret passion and implacable revenge is based on real characters and events from the reign of Mary Queen of Scots. The Raven’s Heart is a breathtaking epic from a bold, fresh Australian voice. Yes, Jesse Blackadder really was born with that surname. When she finally had enough of people asking if she was related to Rowan Atkinson, she travelled to Scotland to find the origins of her surname. Her novel The Raven’s Heart grew from there. It won the Varuna HarperCollins Manuscript Development Award in 2009 and was published in Feb 2011. Jesse is an award winning Australian novelist, short story writer and freelance journalist, fascinated by landscapes and belonging. 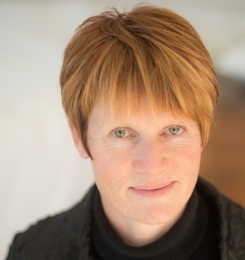 Her first novel was After the Party (Hardie Grant Books 2005), which made the Australian Book Review list of all time favourite Australian novels in February 2010. She’s been a writer in residence in Sitka Alaska, in outback New South Wales, at Byron Bay and at Varuna in the Blue Mountains. Jesse’s next book, which she is writing as part of a Doctor of Creative Arts at the University of Western Sydney, is about the first woman to see Antarctica and Jesse recently travelled to Antarctica as part of her research. - Giveaway ends on December 12th. Please enter me in this giveaway. I am a GFC follower and a Networked Blogs follower (Kimberlee Gibbs). I am also a member of the FB page. Thanks for giving this giveaway and this book sounds awesome. Thank you for making it open to all. With books like this being very unlikely to find their way here to my country it is much appreciated when the competition is thrown wide open! This looks like a book I would be interested in. Ever since reading that little part about Mary of Scots in one of CW Gortner's book I have been trying to find out more about her. This book sounds so interesting. Fb follower email subscriber Lomazowr@gmail.com twitter follower rhondareads. I like to read about Mary Queen of Scotts for two reasons...my namesake and my husband is of Scottish decent. I have been waiting for this one for a long time - love the cover art too! I'm looking forward to this one Thanks for the giveaway. I'm a follower. Your book sounds fascinating! I love all books related to Scotland. I am always pleased to dicover a new author to add to my list of readings. Would love to read The Raven's Heart! I follow your blog and facebook page and I will share about this on facebook! Your book sounds fascinating! I love books related to Scotland. I am alway pleased to discover an author to add to my list of books to read. I would love to read The Raven's Heart. Thank you for your nice giveaway. Oh, Amy, this one sounds GOOD!! Thanks for the chance to win a copy! +3. Follow on twitter (@candc320). This book sounds very intriguing. I would love to receive a copy of it. This sounds good! Love reading about Mary Q of scots. I have always been fascinated by MQS! I even have the privalage of portraying her in a reinactment group that goes to schools and Scottish games. Can't wait to read your book! I can't wait to read your book! I have the honor of portraying MQS at Scottish games and at schools, teaching children about her life and renaissance times. What a great-sounding book. Being of Scottish heritage myself I'm very interested in Mary's life, real and fictional. Please enter my name in the draw for the chance to win a copy. SOUNDS LIKE AN EXCITING BOOK ABOUT MARY QUEEN OF SCOTS. LOVE THE BEAUTIFUL COVER ALSO. I am really looking forward to reading this! I can't soak up enough of stories like these. It's great to read about Mary, Queen of Scots, especially from new authors! A fabulous story about a fascinating period in history. I did laugh about the Rowan Atkinson remark. I'm really looking forward to reading this novel. What a fascinating period in history. Books like this should be a "must read" in schools. Oohhhh sounds great! I'm a sucker for anything about Mary. Thanks, Amy!